As a proud car owner, you take great care of your ride and aim to keep it in top shape. And when it comes to cleaning, you’re all about doing a highly thorough job, and refuse to settle for anything less than the best. We’ve narrowed down for you the best tips and tricks out there (and the occasional odd, yet surprisingly effective methods) to help you clean your car like a pro, without the need to stop by your local dealer. Annoying bugs on your bumper and on your grille? It happens to all of us – and if you’re rocking a light-colored ride, the damage can be quite unsightly. 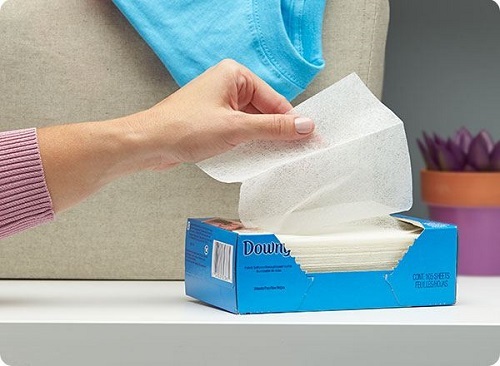 While there is a wide range of products on the market that might do a decent job, here’s one unexpected solution for your buggy problem: dryer sheets! No need to go shopping or to drop your car to the wash every time a stubborn bug gets glued to your car – a fast trip to your laundry room and a pack of fabric softener dryer sheets is all you need!